BANGALORE (Reuters) - Children's clothing retailer Gymboree Corp (GYMB.O) raised its quarterly profit outlook after promotions and new merchandise attracted more shoppers to its stores in March, sending its shares up more than 23 percent. March sales exceeded expectations as customers reacted more favorably to Gymboree's new spring vacation assortment introduced during the month, the company said on a prerecorded call. Gymboree said it had offered a 20 percent discount to its "Play & Music" customers in the first week of March. The company also had its spring break sale during the month. "The strongest-performing department during March was baby girl, followed by newborn, baby boy, kid boy, accessories and kid girl," Jeff Harris, vice president of finance, said on the call. 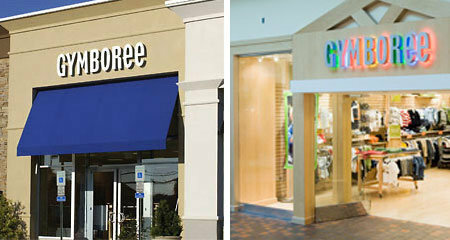 Gymboree saw its strongest performance in the mid-Atlantic region, followed by the South, Midwest, South Central and Great Lakes. The company, which operates Janie and Jack stores as well as its namesake Gymboree chain, now expects a profit of 50 cents to 56 cents a share for the first quarter ending on May 2, up from its prior outlook of 18 cents to 25 cents. Analysts on average had expected earnings of 22 cents a share before special items, according to Reuters Estimates. San Francisco-based Gymboree said it expected comparable-store sales in the first quarter to fall at a mid-teen percentage rate. It had earlier forecast a decline of 20 percent to 25 percent. Gymboree said, however, that it still expected the retail environment to remain volatile throughout the fiscal year, and it would continue to take a cautious view on sales expectations. The company's shares were up $5.06, or 23.2 percent, at $26.87 in morning Nasdaq trading. The Children's Place plans to buy $76 million in assets from children's clothing retailer Gymboree Group while Gap Inc. is buying assets including Gymboree's Janie and Jackie chain for $35 million.